Cen tral Stags (Kiwi T20 Champions) : Central Districts is a good team with some good young talent. But they are surely going to miss their most destructive players Ross Taylor who will be turning out for the Royal Chllengers Bangalore and Jacob Oram who is injured. Without them their chances of lifting the trophy seem bleak unless they produce something special. Chennai Super Kings (Indian T20 Champions) : The only team to make it to the semi-finals of each of the three seasons of the IPL, the CSK make it to this edition of the CLT20 by winning IPL 2010. Led by the flamboyant and charismatic MSD, they have some of the fiercest strikers of the cricket ball in their line-up like Matthew Hayden, Albie Morkel, Michael Hussey , Dhoni , Raina and Murali Vijay. The bowling department appeared to be Chennai Super Kings' weak-link in the initial stages of the IPL 2010. However, Doug Bollinger, called in as a replacement player, together with the spin trio of Murali, Shadab Jakati and R Ashwin turned it around. Also the Kemp will give them an option in SA conditions. 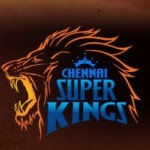 Despite their bowling department lacking the big names like some of the other competing teams, CSK will be keen to replicate their performances in the IPL and add the CLT20 title to their name. Victorian Bushrangers (Australian T20 Champions) : Having won 4 KFC Big Bash Twenty20 finals in 5 seasons, the Victorian Bushrangers will no doubt be one of the most feared teams in CLT20. The Melbourne-based team boasts some prolific players in their line-up - Brad Hodge and David Hussey are among the top two run-getters in T20 cricket, while Cameron White (who will be playing for RCB though) is among the few batsmen around the world to have scored 2 or more hundreds in the 20-over format, Dirk Nannes , Siddle among others. It will be the second appearance in two editions of the CLT20 for them so that will help. They look a strong team and will be hoping to go the full distance this season. Warriors (South African T20 Champions) : With a squad that consisted of Jacques Kallis, Mark Boucher, Makhaya Ntini, Ashwell Prince, Johan Botha and Nicky Boje, it wasn't really a surprise that they won the Pro20 tournament. They only lost 1 out of their 8 matches in the competition and went on to clinch the title. While they have a strong batting lineup , on the bowling front, the Warriors have a very mean attack - Ntini, Botha and Boje have all successfully proven their skills at the international level. They also have Juan Theron, a bowler who relishes bowling at the death and is capable of guiding his team to nail-biting victories. The Warriors have all the ingredients - players with skill, class, experience, temperament and ability to perform on the big stage and also not to forget the home advantage. after his recent performances for SriLanka. Mumbai Indians (Indian T20 Runners up) : Led by Sachin Tendulkar, the Mumbai Indians was the most consistent team in the IPL 2010 in the league stages, the Mumbai Indians have a great mix of experience and youth. While Tendulkar, Harbhajan and Zaheer bring in all their years of experience of playing at the international level, the likes of Shikhar Dhawan, R Sathish, Ambati Rayudu and Saurabh Tiwary bring in the much-needed zeal and hunger for achievement on the big stage. On the bowling front, Malinga's toe-crushing yorkers are simply too hot for most batsmen to handle and he will be a major cog in the MIs' plans, while Harbhajan and Zaheer will be hoping to draw on their experience of playing in South Africa to the advantage of their team. Also bring in Pollard, Bravo and Duminy in the picture and you get an idea of their might. High Veld Lions (South African T20 Runners Up) : They don't have many international stars, with players from Gauteng and North West provinces in South Africa. Among the players to look out for in the Lions' squad are captain Alviro Petersen, the ever-dependable Neil McKenzie. The Lions' Vaughn van Jaarsveld finished as the team's top run-getter (249 runs in 8 matches) - second in the list of the top run-getters in the Pro20 2009/10, while Robert Frylinck finished as the tournament's leading wicket-taker. They will also be hoping to make most of the home advantage. South Australian Redbacks (Australian T20 Runners up) : They made it to the final of Australia's KFC Big Bash T20 for the first time and were the most consistent side in the KFC Big Bash last season, registering 4 wins in 5 matches, before ending up second best in the title clash. The Redbacks might not have too many superstars in their midst, but they certainly have someone who can lay claim to being the fastest bowler in the world today, Shaun Tait. Tait apart, the Redbacks also have consistent performers like skipper Graham Manou and the returning Callum Ferguson. But the Redbacks cruised into the final on the back of splendid performances from their overseas signing - Kieron Pollard - among others who will be turning out for his IPL side Mumbai Indians. 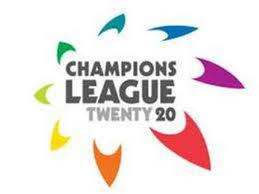 Royal Challenger s Bangalore (Indian T20 2nd Runners up) : They are making their second CLT20 appearance. The Anil Kumble-led outfit figured in the inaugural CLT20 too thanks to their runners-up position in IPL 2009. From being chided as a 'Test team' in coloured clothing in the inaugural season of the IPL, it has been some transformation for RCB who have made it to two consecutive CLT20 competitions. Former South African coach Ray Jennings coaches a side with a strong South African flavour - a fact that will no doubt assist RCB in CLT20's African sojourn. With the rock solid Anil Kumble as captain and several other proven Twenty20 performers in their squad, the RCB surely start as one of the favourites to clinch the title this season. Guy ana (Caribbean T20 Champions) : Another team without many international stars. But last year also nobody expected much from the T&T team and they provided some expectional entertainment and played some exceptional cricket. Guyanese team has qualified for this year's CLT20 defeating that very team. But on paper their chances seem thin. PS: The views above are mostly based on the impression given by the teams on paper. Also having relativley unknown players in the team can also be an advantage as their strengths and weaknesses are relativley unknown. In T20 nothing can be said for sure , anyone can beat anyone and much can be acheived by the teams who play with spirit ,passion and unity. We have already witnessed quite a few examples of it in the past.